Claire originally hails from a small seaside town in West Wales, called Milford Haven. She spent most of her childhood searching through rock pools for anything interesting - sea anemones, star fish, crabs and small fish. In her teenage years she had a huge interest in anything to do with the sea. She competed in many sailing competitions and also enjoyed kayaking and body boarding. Her other passion in life has always been animals. While living at home with her parents, she had a rescued cockatiel called 'Edd', two terrapins called 'Bert' and 'Ernie' and more stick insects than she could count; much to her mother’s disgust when they would escape and climb the curtains. 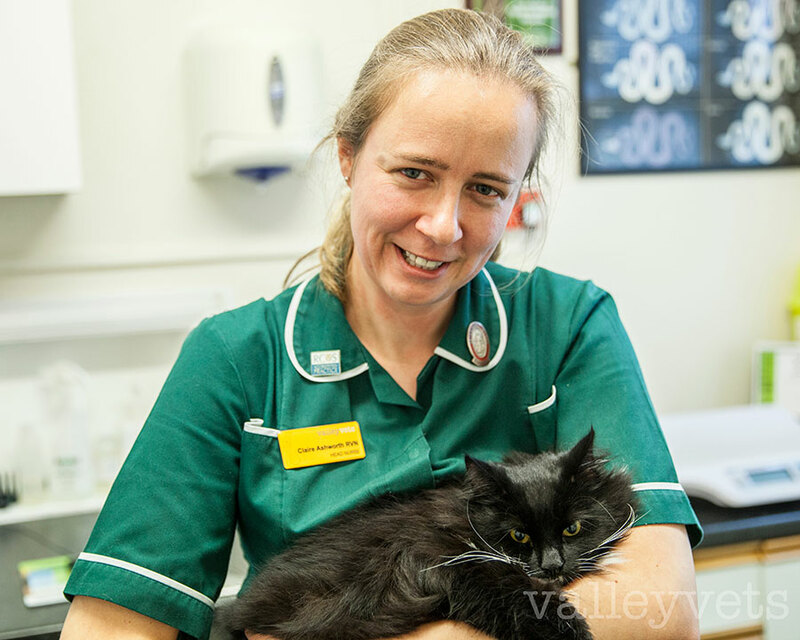 Claire moved east and joined Valley Vets as a trainee Nurse in 2002. She developed a keen interest in exotics. Claire qualified as a Registered Veterinary Nurse in 2008 and became Head Nurse at our Cardiff Hospital in 2009. In 2014 she passed her nursing certificate in Wildlife and Exotic Nursing. Claire couldn't imagine doing any other job and very much enjoys working as part of the Valley Vets team, which has become her second family. These days Claire enjoys spending her free time hiking, gardening and looking after her three cats, one guinea pig and a Pac-Man frog.